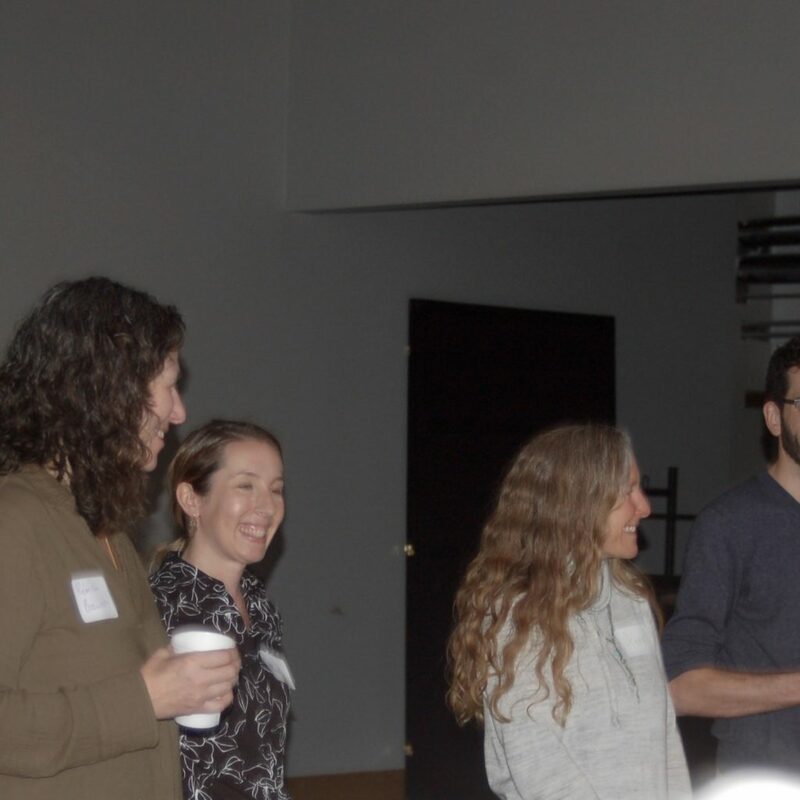 On Saturday April 6, over 50 Northampton teachers, parents, residents, local leaders and legislators spent the morning talking about how to strengthen the connections between the city’s schools and healthy local food, farms, and gardens. 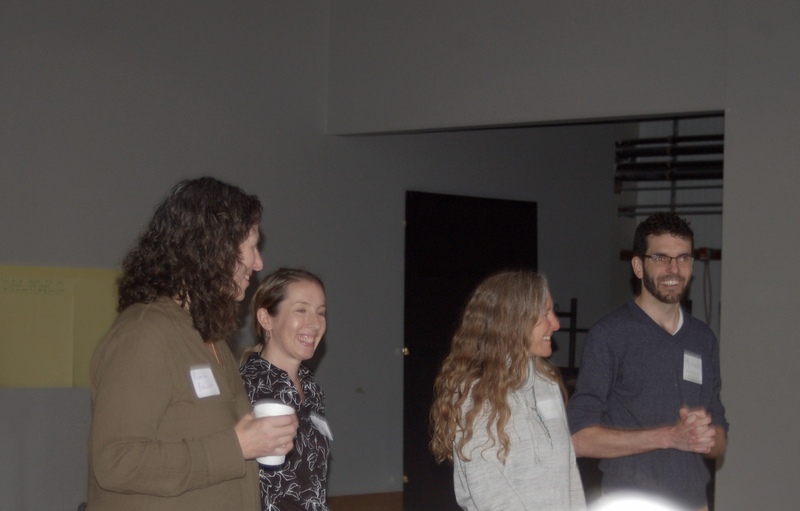 Held at the Northampton Community Arts Trust, the summit was organized by Grow Food Northampton, School Sprouts Educational Gardens, Food Service Director Mistelle Hannah, and School Committee member Rebecca Busansky. 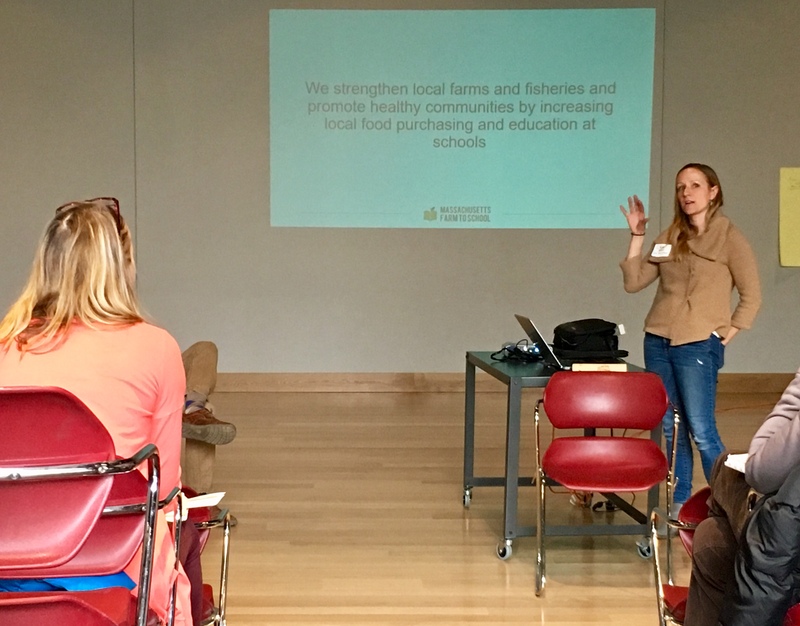 Its goal was to share information about current successes and challenges with the many existing programs, gather input from many stakeholders, and begin to create a unified vision for building an integrated set of “Farm to School” experiences for students. 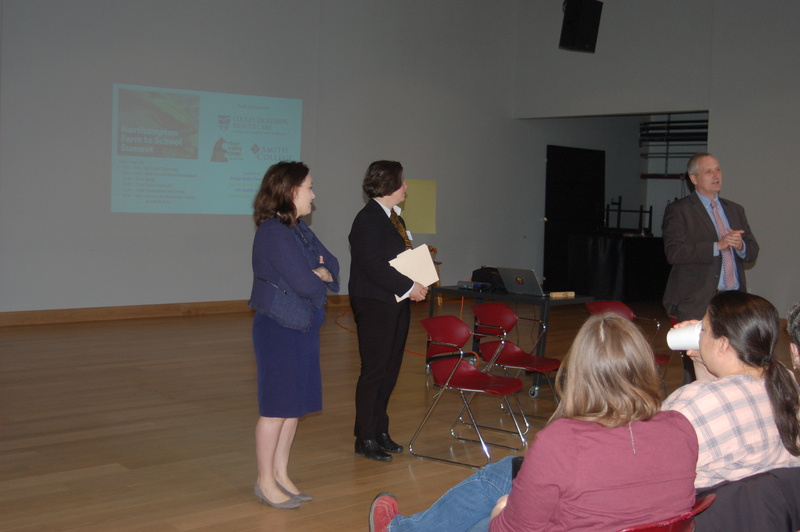 In addition to the organizers, Superintendent John Provost, Rep. Lindsay Sabadosa, and Sen. Jo Comerford presented and participated. 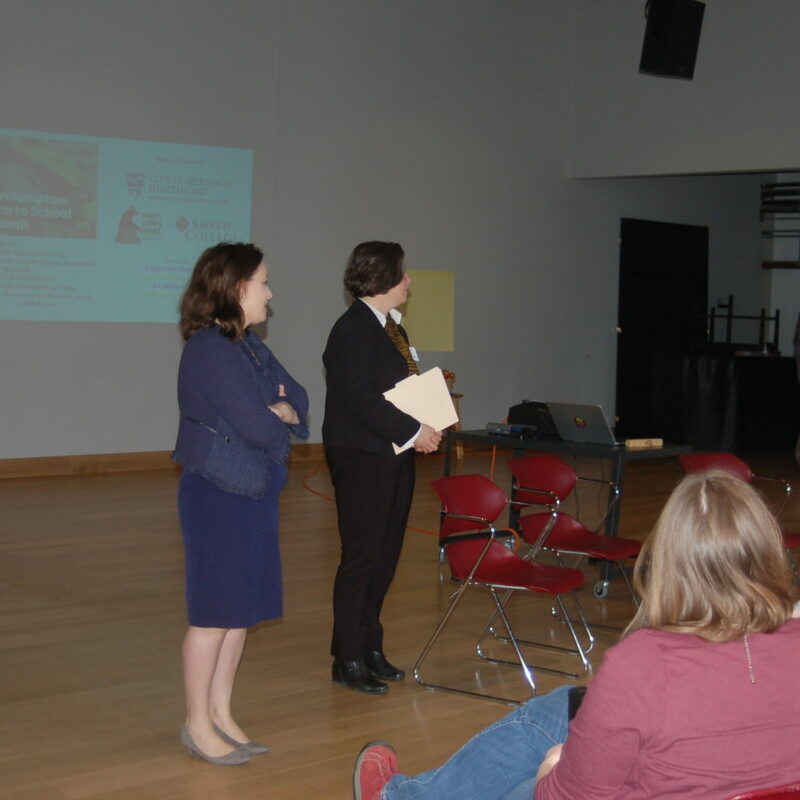 Attendees, including many teachers, School Committee members Howard Moore and Laura Fallon, and City Counselor Gina-Louise Sciarra, worked to answer prompts. 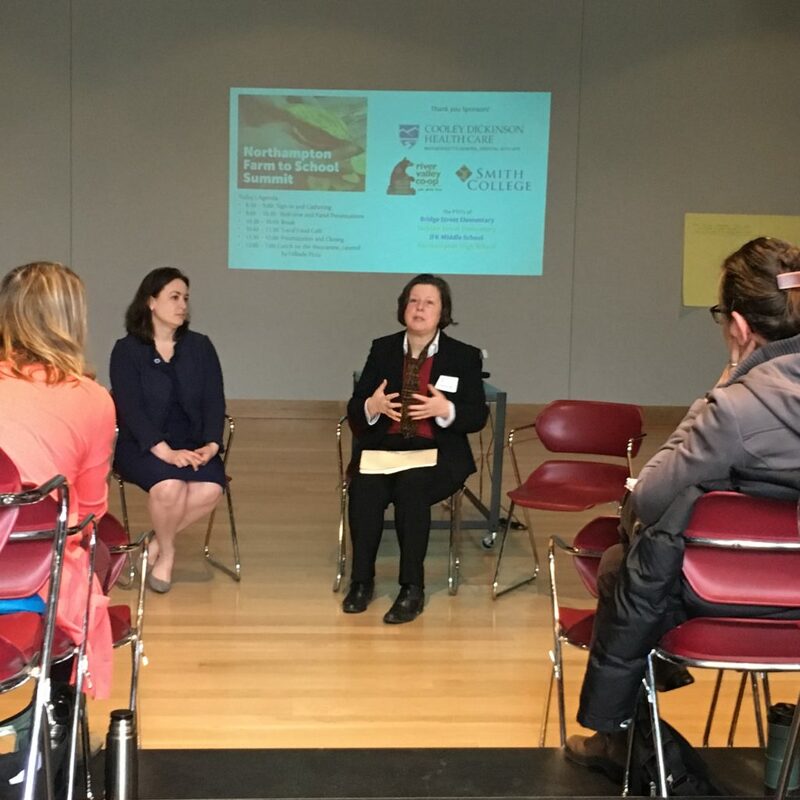 These addressed topics including how to best create partnerships and connections, what would be the best ways to integrate Farm to School efforts into school curricula, how to increase school lunch participation, and how to bring more of this work into the middle school and high school. The space was alive with conversation and ideas. 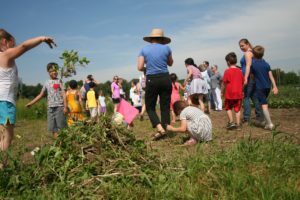 The program began with the crowd sharing their own memories about farming or growing food which included a mother sharing a story about her son’s first experience with harvesting and joyfully eating cherry tomatoes in the Jackson Street School’s garden. Superintendent John Provost greeted the crowd with his own personal connection to farming through work on farms as a teenager and how it built a strong work ethic. 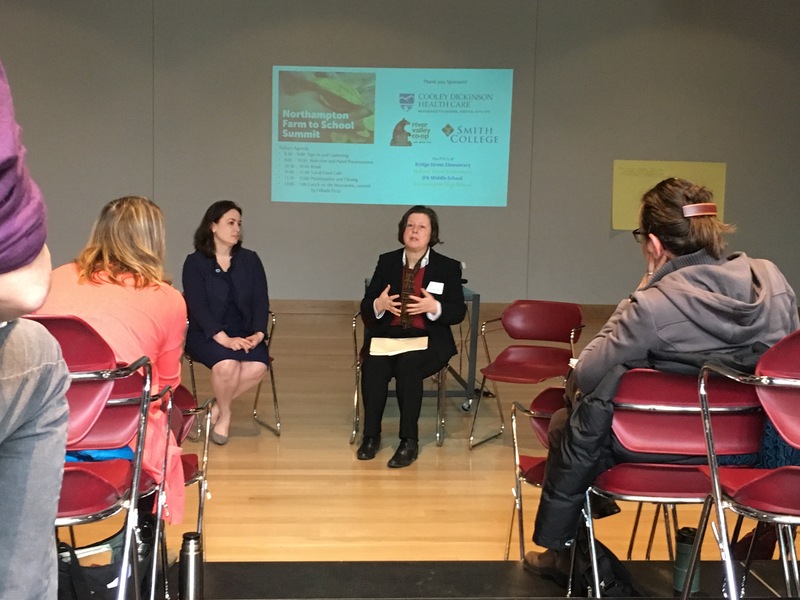 Provost made clear his commitment to connecting kids to local food before introducing the Legislative Panel of MA Sen. Jo Comerford and MA Rep. Lindsay Sabadosa. Rep. Jim McGovern had been scheduled to attend but had to cancel at the last minute. Rep. Lindsay Sabadosa shared some memories of food being a joyful experience in her life, from walking home past an apple orchard on the way home from school in Westfield and enjoying a free apple each day, to living in Italy and hearing about the wholesome family-style food school lunches that her daughter was served. Rep. Sabadosa talked of her work at the statehouse on the Food Systems Caucus. She is interested in looking at limitations in the school cafeterias and how to overcome them by providing adequate funding. Rep. Sabadosa stated that she is furthering the statehouse’s enthusiasm with a schedule of Farm Tours in the coming months. Sabadosa cited the Healthy Incentives Program as a high priority for her and advocated for more funding and added incentives for low-income families. The legislators responded to a robust round of questions from the group which included questions about legislation to support soil health and funding for schools to do more Farm to School work. 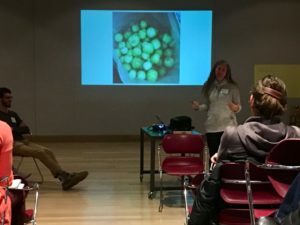 Hope Guardenier, School Sprouts Founder, shared her experience of managing Northampton school gardens for 10 years and the great news that School Sprouts is now funded by the school’s budget. Guardenier shared an example of Mistelle’s willingness to go the extra mile to include local food in the school’s cafeteria. Last fall the school garden had a bumper crop of lemon cucumbers. After harvesting 150 pounds of cucumbers, she made a call to Hannah, who jumped into action preparing the cucumbers herself to serve to the students. 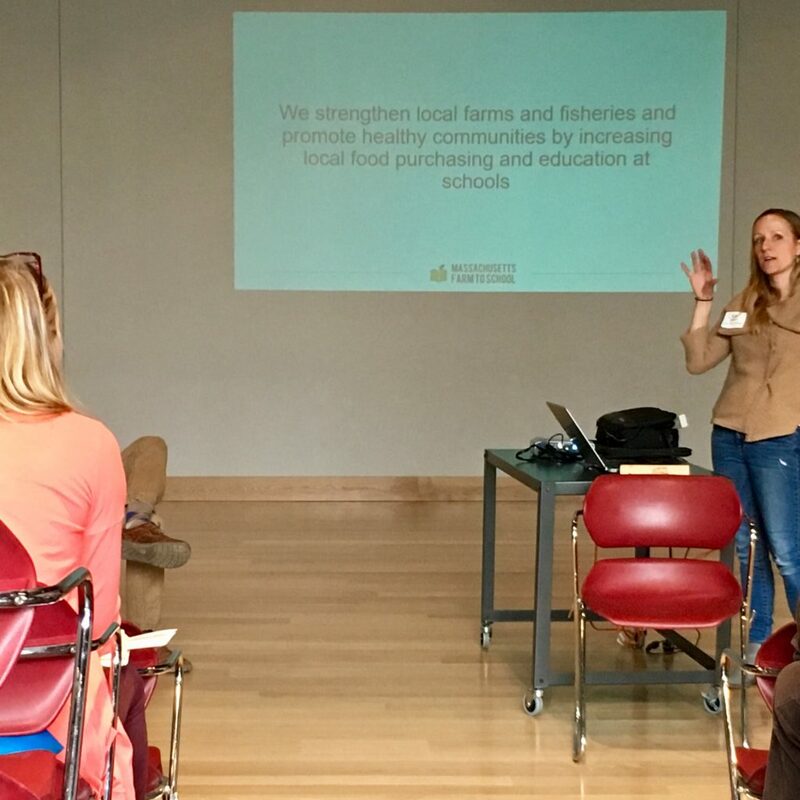 Lisa Damon, Co-Director of Mass Farm to School, gave the crowd an overview of the organization’s statewide work in the schools. 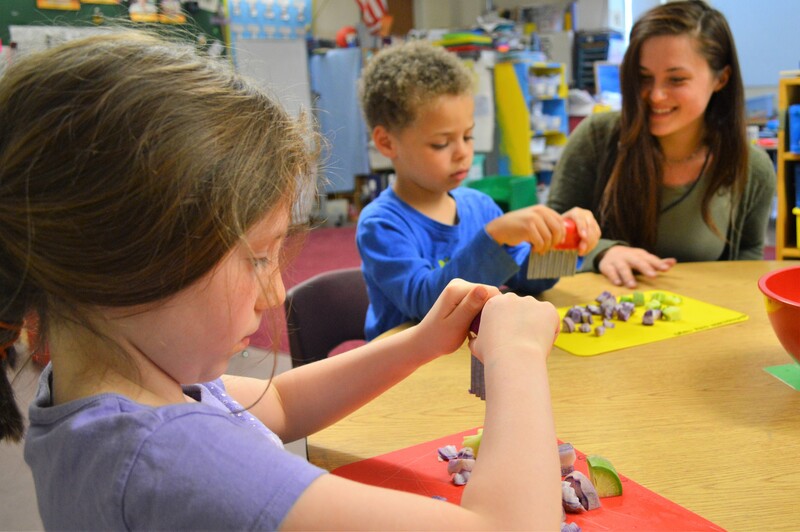 Most notable has been the Harvest of the Month program which is an opportunity for Massachusetts schools to celebrate local abundance and experiment with new foods and recipes. Northampton schools have implemented Harvest of the Month successfully this school year. 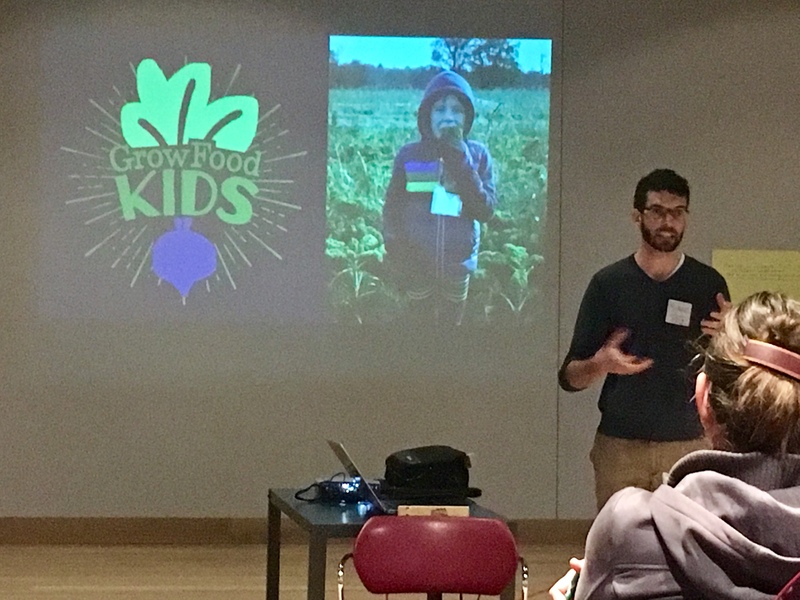 Michael Skillicorn, Director of Programs at Grow Food Northampton shared an overview of what the organization’s Grow Food Kids program is doing in Northampton elementary schools. 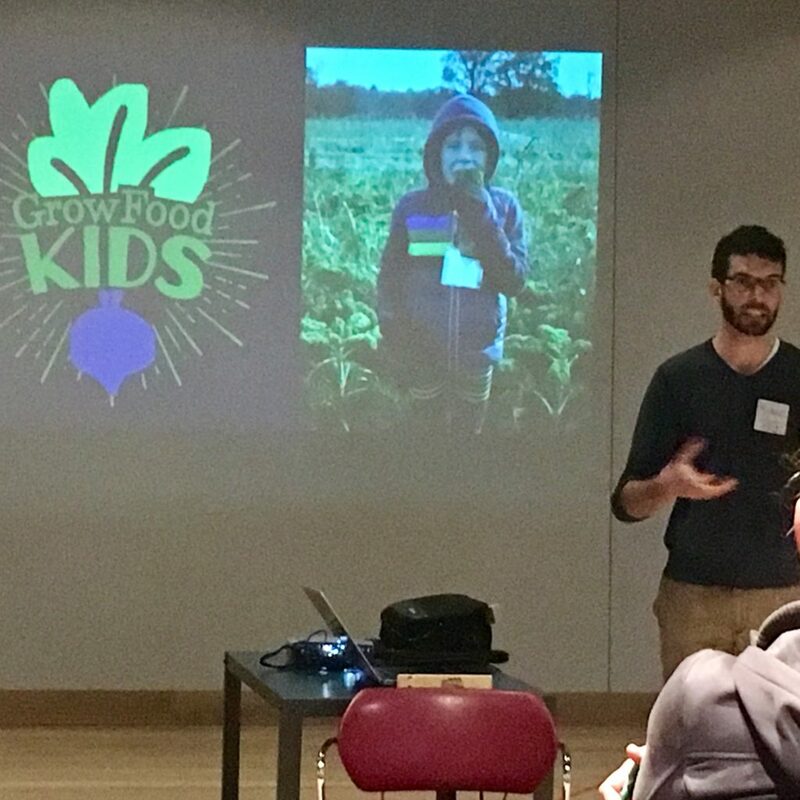 Grow Food Kids offers no-cost farm field trips and classroom workshops throughout the school year. 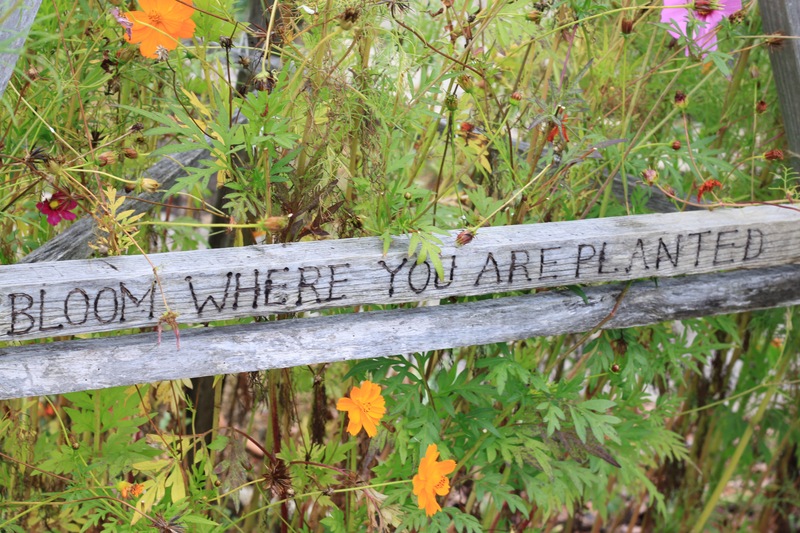 This fall 22 Northampton classes enjoyed a tour of Crimson and Clover Farm. 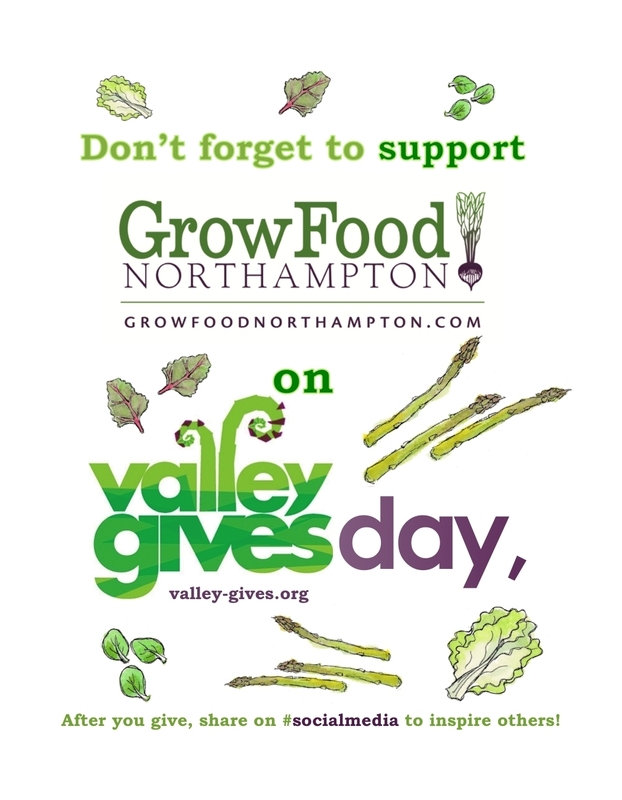 This winter students in all four city elementary schools have participated in nearly 150 classroom workshops and now field trips are being planned for the Spring to Grow Food Northampton’s Giving Garden. 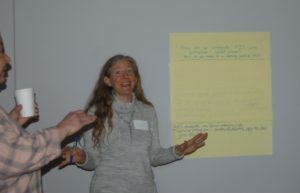 After participants responded to the prompts in small facilitated groups, organizers identified top themes. All participants then received five stickers with which to indicate their personal priorities. This input will form the starting point for additional planning efforts. Clear themes emerging from the event included expanding food and farm programming for older students, and supporting Food Services to increase participation in school meals. Organizers promised participants that they will receive a summary of the input received and opportunities to engage in follow-up in the near future. The program concluded with a delicious local lunch provided by Hillside Pizza. 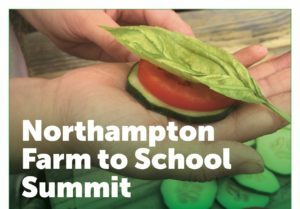 The first Northampton Farm to School Summit was sponsored by Cooley Dickinson Hospital, Smith College, Bridge Street School PTO, Jackson Street PTO, JFK Middle School PTO and Northampton High School PTO. In addition, River Valley Coop provided complimentary gift cards for Northampton teachers who attended the Summit. previous post: Introducing, Grow Food Shares!